Primary teachers are the need of the nation for now. They are the building blocks on which the foundation of education of any student is built. 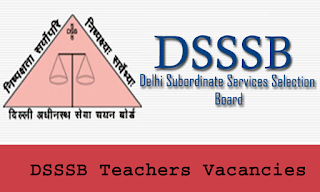 The candidates should note that the DSSSB has released notifications regarding the selection of candidates for the post of Primary teachers in the Government schools of Delhi. In that case, it becomes important for the candidates to have a good preparation for the examination. in the following article about the DSSSB PRT Syllabus Arithmetical, we have compiled the complete syllabus for Arithmetic and Numerical Ability section. Check the exam pattern, syllabus as well as the tips for the preparation here. The candidates should apply the following points as per the DSSSB Preparation Tips 2017 for attempting then quantitative aptitude sections in the exam.